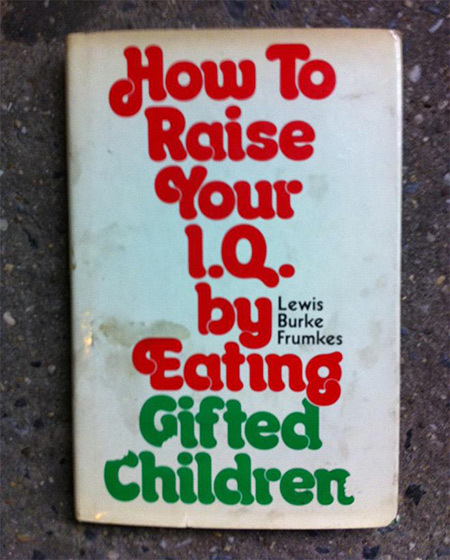 Amazon may be making headlines for their new same day deliver service and drones, but most internet geeks know that what the company is really known for are there odd items, such as How to Raise Your IQ by Eating Gifted Children. The book’s description may even be more bizarre than its title: “Lewis Burke Frumkes, one of America’s very best satirists, sharpens his pen on the fads, fears, and fashions of the urban landscape. Here are 49 hilarious ways to cope with them. Explore the benefits of aerobic typing.” Continue reading for more.